… We Walk Into The Exam Room At The Doctor’s Office. The roles and behavioral dynamics that take place in the exam room between patients and physicians gets little attention today. But they should, since the exam room is where diagnoses are made, treatment plans formulated and utilization of health care resources determined. And if outcomes are any evidence, what passes for patient communications these days, and the resulting patient behavior, is anything but patient-centered or high quality. Beginning with our childhood visits to the pediatrician with our mother, we have all been socialized into the “patient role.” We come seeking the doctor’s expertise. We are petitioners. Our role as patient is straightforward … answer the doctors questions … sit passively by while the doctor does their thing … and upon leaving the office, do what the doctor recommends. Doctors after all know what is in our best interest. Right? If you do what you were told (recommended) then you care a good patient – compliant and engaged are words that clinicians often associate with good patients. If you challenge the doctor by making requests, taking up too much time, or you do not do what the doctor recommends – you are a often considered a difficult, noncompliant patient. Doctors too have a role … that of clinical expert. Many physicians will tell you that they were taught 2 things in medical school : 1) how to diagnose medical problems and 2) how to treat medical problems. To the extent that most doctors talk to you … it is for those two purposes alone. Most doctors will tell you they were never taught in medical school to get to know the patient (or person). They will also tell you they often wish patients would “shut up” after they have the information they need to arrive at a working diagnosis. To do their job, physicians were taught the need to control the visit by the way they communicated with patients. Traditionally, physicians learned by watching their medical school preceptors and mentors that the way to “control the visit” was to control who the communications between they and their patients. This “physician-directed” (aka paternalistic) communication style is where the physician does most of the talking, asks most of the questions ( usually closed ended) and makes most if not all the decisions. Here’s a comment I received recently for a decidedly Physician-Directed (Paternalistic Physician) that illustrates their role mindset: An estimated 70% of practicing physicians today employ a “Physician-Directed” style when talking with patients. Over the last 20 years, there has been a resurgence in the importance of understanding and treating the whole person … and not just their medical problems. This has lead to what is commonly referred to as Patient-Centered Care. 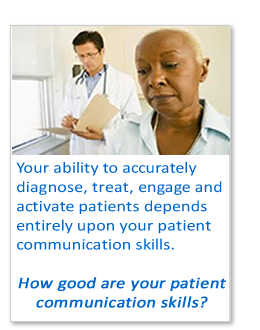 A patient-centered style of communications seeks to actively involve patients in the medical exam. The focus is not just on the biomedical aspects of the patient’s disease … but also how patient perceive their health issues, their ideas as to it cause as well as its treatment. It simply means that the clinician ask them for their thoughts as a way of making a better diagnosis and arriving at a better treatment plan. One they both can agree upon. A Patient-Centered style also focuses on patient psychosocial issues which are all but ignored by the Physician-Directed style. Note : Nothing about a Patient-Centered Style suggests that physicians give patients anything they want even if they don’t need it. It means that if patients asks for something they don’t need, the clinician seeks to understand the reason for the patient request. And if unnecessary, the clinician gives the patient the courtesy and respect of explaining why they think the request is inappropriate. Engage patients – How engaging is it when you doctor interrupts you, ignores or dismisses your input, or limits the number of questions you can ask …and information you receive? Be Empathetic – If your doctors see no point in eliciting patient psychosocial issues … what makes you think you can they are doing it? Shared Decision-Making – If you doctors just assume that patients want/expect them to make the decisions why in the world would you expect them to ask the patient what they think? They don’t solicit the patient’s input about anything else? Missed Patient Engagement Opportunities – The average patient presents from 9 to 12 patient engagement opportunities at each visit. Most doctors miss more than 50% of these opportunities. not because they lack the time…but because their either don’t recognize them as opportunities, don’t know how to respond or simply ignore them. That comes out to almost 100 missed patient engagement opportunities per doctor per day. Remind me what the cost of an unnecessary ER visit or hospital readmission is again? Commit to adopting patient-centered communication best practices – they do exist, there are 30+ years and hundreds of published studies linking patient centered communications to increased patient engagement, better outcomes, lower costs and better patient experiences. Profile and benchmark your physicians’ patient communication and engagement skills against established best practices. Audit how many patient engagement opportunities are being missed by physicians in your provider network and at what cost. Conduct patient communication and engagement skills training programs tailored to the individual needs of your physicians. Conflict of Interest: My company works with hospitals, ACOs and Medical Groups to assess and benchmark physicians’ patient communication and engagement skills. We also offer online physician training in patient-centered communications and engagement. Roter, D. L., Stewart, M., Putnam, S. M., Stiles, W., & Inui, T. S. (1997). Communication Patterns of Primary Care Physicians. JAMA (277), 350-356. Joseph-williams, N., Elwyn, G., & Edwards, A. (2013). Knowledge is not power for patients : A systematic review and thematic synthesis of patient-reported barriers and facilitators to shared decision making. Patient Education and Counseling. Levinson, W., Stiles, W. B., Inui, T. S., & Engle, R. (1993). Physician Frustration in Communicating with Patients. Medical Care, 31(4), 285-295. Alexander, J. a, Hearld, L. R., Mittler, J. N., & Harvey, J. (2012). Patient-physician role relationships and patient activation among individuals with chronic illness. Health services research, 47(3 Pt 1), 1201-23. Is Trying To “Convince” People To Use Health Apps They Don’t Want The Right Approach To Patient Engagement? If patient-centered care is supposed to be about “respecting the patient’s perspective” where possible… as well as a measure of high quality health care … then why are RWJF and the Center for Connected Care teaming up to “convince” people to do what they have shown they don’t want to do? That’s provider-centered care (aka beneficent paternalism) not patient-centered care. I am confused…someone help me out here. In a recent announcement, the Robert Wood John Foundation announced a $468,000 grant to the Center for Connected Health to develop an “engagement engine” to “convince” consumers to use health and activity trackers and other health apps. The marketing logic is clear enough. RWJF and Connected Health believe they need to get more patients to use health apps…in order that they will then tell their doctors about the apps..in the hopes that doctors will then recommend the apps to other patients. What is not clear is why is RWJF and Connected Health “doubling down” on health apps in the first place. It is not like the consumer market is tripping over themselves to use them …with the possible exceptions of the quantified self users. Relevance – Many providers believe that most people (patients) today are generally “unengaged” in their health. Why? It is because patients don’t do what they are told to do by providers. After all, doctors have the best interests of their patients in mind when they tell them to exercise, lose weight, etc. When patient are nonadherent…it’s because they don’t care…they are unengaged. By extension…developers of health apps – who often include physicians – think about patients the same way. It never occurs to providers or developers that patients might have good reasons for their nonadherence, i.e., they don’t agree with treatment recommendation, don’t understand what the doctor told them to do, can’t do or afford what the doctor recommended and so on. Usefulness – How many of us have been asked by our physician at one time or another to record some aspect of our health behavior like our blood pressure? I know I have and I also know how it felt when the doctor never asked to see the results at a follow-up visit? What a waste of time. Physicians, for their part are already overwhelmed with more data than they know what to do with. Since many doctor’s EMRs don’t “play well” with the hospital’s EMR system is it little wonder that physicians are not terribly excited about paying to add more health app interfaces to their EMR? This week, the 2015 HIMSS Patient Engagement Summit is taking place in sunny, warm Orlando. According to HIMMS, conference attendees will learn how “leading healthcare organizations” are successfully using health IT and other strategies to engage patients in their care. Patient What I suspect attendees will not hear much about at the Summit (particularly from speakers and exhibitors – one in the same?) is the growing “disillusionment” with the ability of patient portals, EHRs/PHRs and smart apps to actually engage patients at all. One only need look at the dismal adoption rates of these technologies (in the very low double digits if that) within most provider organizations, Kaiser, Group Health and Geisinger being notable exceptions. What disillusionment you may ask? If a patient chose NOT to use your patient portal, PHR or smart health apps do you consider them to be “unengaged” in their own healthcare? The question was prompted by all the “over the top claims” by HIMSS (See their Patient Engagement Framework) and EHR and Health IT bloggers that patient portals, EHRs and smart apps are what drive patient engagement. Come on now. If that were true, that would mean that prior to the World Wide Web in the early 1990’s it was impossible for people to be engaged in their own healthcare. That is simply not true! 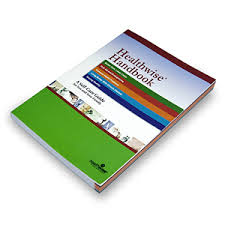 Who doesn’t recall Healthwise’s big old health handbook. It must have weighed 5lbs! Or who doesn’t remember “Ask A Nurse” – that ubiquitous 1-800 number you could call at 3:00 AM a health question? And of course there was always the doctor, family member or friend you could discuss your health concern with. To this day, more health conversations among seniors probably occur in McDonalds over morning coffee than on some EMR or health app. So what were the results of my informal poll? Take a look for yourself. Below are snippets from some of the 70+ responses (and counting) I received from members of the HIMSS Group which consists of developers, venture capitalists, informatics, vendors and clinicians. What surprised me the most was how few “good things” people had to say about health IT in general…not just with regards to patient engagement. I am in healthcare IT and I still have not used my EPIC portal for scheduling an appt, view results, etc. because it is has been too much trouble to access. Are they “unengaged” if they do not use these tools? Absolutely not. [ . . .] I actually consider patients who use the portal, PHR or apps and are NOT having direct contact face-to-face or by telehealth as being “unengaged”. Patient engagement is a very personal and individual decisions made by the patient and can change drastically at any given time. It seems we too often try to use technology to replace human interaction. Patient engagement requires human interaction and collaborative work between the provider and patient. Until the portal becomes a) easy to use and relevant, b) doesn’t have 20 pages of legalese and c) can converse with you via email, txt, Instant Messages or phone; there will always be a substantial portion of the population that won’t use them. Ok, [patient portals]not normally a big deal until you read the terms of service which, paraphrasing the legalese, said “If we are breached, it is your fault. We are not responsible for losses you might incur. If it is determined that the entire system was compromised through your account you will be responsible for our costs to remedy the situation”. Match […]the technology to the message. I am aware of HIPAA secure phone mail systems that get 83% of patients using the system to listen to messages left for them by a clinician within 24 hours. We are all used to voice mail and using the phone. Engagement should be defined by the level of interaction with a provider, and the resulting outcomes. So, no, I think assessing level of engagement by use of the technology is pretty limited. If you want to know why patients and physicians do not use portals, it is because they are designed by EHR companies that design them as poorly as they design EHRs. Combine that with Byzantine security procedures, and you get a somewhat useless system. The assumption that a percent of users accessing data on a portal = patient engagement is where we fail! A percentage of people will access a portal for various reasons, and they will also NOT access a portal for various reasons. The real question should be…. what can we do to make the info easier to access and easier to understand. Point me to a portal that you believe is patient friendly, put on your flak jacket and give me 30 minutes to make you understand that the portal smells worse than pig effluent. Why would I be forced to go through all of the userID creation (I have somewhere around 250 of them in my Google profile) etc. just to give doctors access? Why can’t I tell the people at the radiology site that Drs A, D, V & Z can have access? I am extremely engaged in my health as a nearly 30 yr Type 1 Diabetic. But what you just described sounds like more PITA administration that I have ZERO interest in. You cannot force adoption, it comes to good products and causes bad ones to fail. I am committed to health (as opposed to healthcare) and I take an active approach to wellness. [ . . . ] Since my hospital-employed PCP implemented EPIC, my relationship with that office and my doctor has significantly degraded. 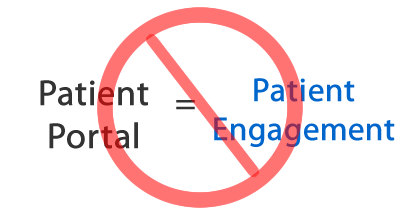 The implementation of EHR and its patient portal caused me to disengage, not engage. Meaningful Use is the worst government policy since the Vietnam Conflict. Over 75% of doctors have stated that MU is a disaster and patients are waking up to this fact. EPIC and others have developed their EHR to generate revenue for the healthcare providers and they are forced to create patient portals due to regulations. Whatever use case you can think of, the patient MUST gain value in issuing a portal (I hate this 15 yr out of date term…) or you’re causing them pain and suffering just to cut administrative costs for the provider. Give me a bad patient outcome and an EMR primarily designed to bill, that allows cut and paste, and populates differential diagnoses without requiring the provider to rule each out, and I will show you a lost med mal case. We are looking to technology to fix a human problem… taking their health for granted. Providers, use the portal to tell your patients how they can help you be most efficient. Have your EHR builders “put your heart in your letters” why this is a valuable resource, that you support it also. If the providers don’t trust it, neither will the patients, and then it [patient portal] truly is useless. No surprises here. When people in the business are honest about it, based upon my limited, informal sample, many just don’t buy into the patient engagement-Health IT hype. No one “believes” that health IT actually “creates or drives” engagement where it did not already exist. Many recognize that patient engagement occur between patients and their physicians – HIT is just useful medium for supporting that relationship. I apologize for my absence in recent months. As you will see from my latest post, I have been away with my wife as she is dealing with a serious recurrence of her lung cancer. Our recent experiences continue to underscore the need for improved physician-patient communications in the doctor’s office and hospital. We often hear how physicians seem to interrupt patients almost as soon as they open their mouth to tell their story. It’s not because they are trying to be rude. Physicians interrupt patients because it doesn’t take them long to “size up’ the patient and arrive at a working diagnosis. Once they arrive at a differential diagnosis, physicians will tell you that there is little to be gained (from their perspective) from wasting time letting patients ramble on. As physicians often remind me, they were taught to do two things in medical school…diagnose and treat the patients’ problem…not talk to patients. My wife’s recent emergency room visit and hospitalization underscores “how wrong” physicians can be when they interrupt or ignore the patient’s story. Her (our) experience also underscores the costs in unnecessary diagnostic tests, pain and suffering, fear, frustration and loss of patient confidence (trust) that often accompanies experiences where physicians (and nurses) simply don’t listen to the patient. You need to understand that my wife is a 10 year survivor of Stage IV Non-Small Cell Lung Cancer (no she never smoked). She is experiencing a recurrence of the cancer with mets to her liver which has caused a build-up of fluid in her abdomen. She is being treated by a very good team of oncologists and her cancer is responding to treatment. On the day of her ER visit, we were half way across the country from her treating physicians for the holidays. We had my wife’s medical records with us. My wife presented to the ER physician with severe abdominal pain associated with her distended abdomen. The ER doctor quickly assessed my wife’s condition, seemed to listen to “our take” on what was wrong – excessive fluid build-up (scites) in her abdomen – and the need for an emergency paracentesis or draining of the fluid from her abdomen. Her oncologists warned us that such a procedure may be necessary at some point. For us this was that point. It was not to be the case however for her ER doctor and hospitalists. Turns out the ER doctor was convinced that my wife had pneumonia and sepsis. The chest X-ray and CAT scan of her abdomen showed “cloudiness” in her right lower lobe of her right lung, a high White Blood Cell count, and fluid around the lungs and liver. These findings are consistent with possible pneumonia and sepsis…but they are also consistent with her history of lung cancer with liver mets. The radiology exams confirmed the cancer. Since my wife had a similar ER admission 5 months ago in the same hospital, they were able to compare the x-rays and CT scans to the same tests done 5 months prior. This hospital system also has an extensive EHR system. Consistent with the diagnosis of pneumonia and sepsis, the ER doctor put my wife on IV fluids and antibiotics. While still in the ER, a hospitalist had visited my wife and concurred with the diagnosis of pneumonia and sepsis and the treatment plan. My wife, an RN, reminded the ER nurse that she was on fluid restriction associated with her condition…but my wife had been given pain medication and was not in a position to argue her case. As my wife feared, her abdomen swelled up even bigger from all the IV fluids and her pain went off the charts (30 on a 10 point scale). She was having difficulty breathing and was convinced she would die before the doctors (or nurses) would discontinue the IVs and antibiotics and give her Lasix to help eliminate some of the fluids which were cause her condition to get worse. The ER nurse told me that if they did what my wife and I requested, remove the IV fluids and antibiotics, my wife could die. That’s not something I needed to hear. By this time the original hospitalist went home and a new one came on shift. The ER nurse got the new hospitalist on the phone and the doctor reiterated to me the diagnosis of his predecessor. I suggested he actually examine my wife and listen to what we thought was the problem. The doctor eventually showed up, agreed with our story, and discontinued the IVs and ordered Lasix. The next day my wife had the fluid drained from her abdomen which greatly relieved her symptoms. She had one more paracentesis two day later removing total of almost 10 liters of abdominal fluid. She was discharged from the hospital several days later. The reality is that if we had never left town (where my wife’s oncologists were located) she would have gone to the hospital ER, had the paracentesis done and be out of the hospital the same or next day. But that is not what happened. Listen to your patients and they will tell you the problem. As strange as it may seem, physicians often lack the communication skills and experience needed to accomplish these seemingly basic, simple tasks…but it is true. Keep in mind that many physicians simply are not trained nor inclined to engage patients as described above. These skills however can be taught and physicians can learn how to integrate these patient-centered communication skills into their daily routines. The first step however is to recognize that there is a problem. I know because my company works with physicians, hospitals and health plans to assess and improve their patient communication and engagement skills every day. I was talking with my sister recently about physician-patient communications. She is administrative lead in charge of the hospitalist physicians where she works – a large hospital in the Midwest. Not surprisingly, given her responsibility and her loyalty to her docs, she often comes across as an “apologist” when it comes to doctors and their patient communication abilities. Doctors after all are busy. They barely have time to talk to patients while rounding. To expect them to be good communicators is just asking too much. This attitude isn’t limited to hospitalists or their managers. Practice administrators and physician office staff are just as likely to make excuses for why their docs shouldn’t be held up to too high a standard when it comes to their patient communication skills. Office staff in primary care settings, e.g., Medical Assistants and Nurses, are being asked to take on more responsibility for communicating with patients. It all part of a move to get office staff to “practice up to what their license” will allow. This notion that your physicians can “get by” with sub-optimal patient communication skills (for whatever reason) is wrong… both for patients and the rest of the organization. Effective patient communication skills are as essential to the practice of high quality medicine as a physician’s clinical expertise. Good patient communications skills are not optional. Nor can the physician’s responsibility for communicating with patients simply be delegated away. As Sir William Osler, the founder of modern medicine once said, if you listen to the patient they will tell you what the problems is. Osler teaching underscores the importance of the physician’s ability to talk and listen to the patient’s story. The same can be said for the sharing of information, the asking of questions, expressing empathy and support and shared decision making throughout the medical interview. How can anyone – physician or administrator – think for a moment that it’s OK for physicians, not matter how busy they are, to just “get by” with anything but great patient communication skills? Even worse, how can apologist managers think for a second that such “patient communications” functions as the diagnosis or treatment can be delegated away to a nurse or MA? Patient adherence is directly dependent upon the degree to which patients agree or disagree with the physician’s diagnosis and treatment…also called shared mind. If patients don’t agree with the necessity for treatment due to a disagreement with the doctor’s diagnosis…or if the patient does not believe the recommended treatment is safe or effective… patient adherence will not occur. Arriving at a “shared mind” between physician and patient therefore is not optional for physicians…building consensus cannot be delegated to a nurse or MA. A shared mind is between physician and patient is essential to the successful treatment and the patient’s long term adherence. Patients need to trust their clinician. While a PA or NP may one day earn the same level of patient trust that a physician commands, that’s not usually the case for hospitalists whom the patient meets for the first time upon being hospitalized. Trust according to the research is a function not only of one’s credentials but also their personal attributes, particularly the clinician’s bedside manner, e.g., their ability to communicate and relate to patients. Earning the patient’s trust, even via albeit brief conversations before an emergency procedure, is not optional for physicians. The strange thing is that many of the doctors I talk to acknowledge a need to work on their patient communication skills. They just don’t want to have to go back to medical school or spend a week in class away from their busy practice to have to do it. As such, physicians I believe don’t need nor want apologists to shelter them from what apologists perceive to be unwarranted demands on the physician’s time. Instead of helping their docs, I wonder if physician apologists may actually end up hurting their docs, their patients and their organizations by keeping performance expectations low and foregoing opportunities for much needed physician training and improvement. So the next time you are asked about whether your physicians might benefit for a new initiative…try and avoid the knee jerk reaction to say “my docs are too busy.” Rather, give serious consideration to the need for what is being proposed…both from the patient’s perspective as well as the clinician’s perspective.